NextDC incurred lengthy delays and significant cost blowouts in some of its first forays with software-as-a-service. Chief information officer Jeff Arndt told the Dreamforce 18 conference that the data centre builder experienced two rough projects with SaaS technology before it tried - and succeeded - in breaking the cycle. The problems appeared not to relate to technology choice as much as organisational readiness and unforeseen complexities experienced during implementation. The first of the projects - quote to cash - used Salesforce’s CPQ & billing services. “There were three events that impacted the timeline by greater than six months or ... additional cost to that project,” Arndt said. In addition, it took NextDC 36 months to realise the value from its initial investment in the Salesforce tools. “Those of you who are already familiar with the basic terms of a SaaS contract [will know that] three years is typically the term of the contract,” Arndt said. 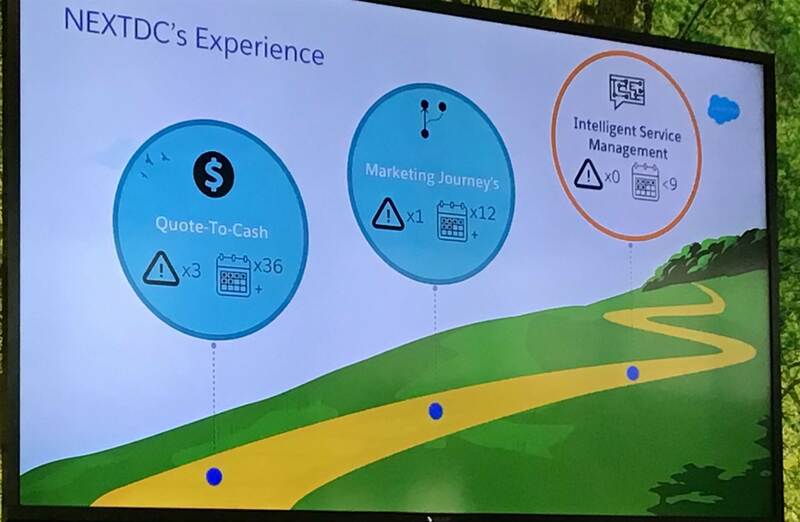 Unperturbed, NextDC tackled another project called “marketing journeys”, again underpinned by Salesforce. Arndt said the project team “defined a very clear and crisp scope” but again ran into problems that pushed the project timeline out. “It was 12 months before the business was able to realise or take advantage of the investment we’d made,” he said. One thing the projects highlighted was there was a lot more work involved than simply standing up the SaaS platform. “Salesforce and other ‘like’ platforms are very easy to stand up and be ready to go, but are you ready to go and able to take advantage of the technology and solutions they provide?” Arndt said. Arndt’s experiences also differed greatly from the way in which SaaS was typically sold. “It’s a very slick show and that’s effectively the mental picture that most executives have when they walk out,” Arndt said. Keen to reverse the company’s fortunes, Arndt used Salesforce advisory services - a business consulting arm and user community of the vendor - to help it on a third SaaS-based project. “We started to speak to Salesforce about this trend and pattern," Arndt said. "This isn’t something we wanted to sustain. It was something that wasn’t working for us." The new SaaS project was “intelligent customer journeys” - an initiative to reduce “friction” when new data centre customers came onboard and had to book parking or equipment deliveries in. “We’ve had tremendous growth in our first eight years as a company and it was about halfway through our existence that we started to get a sense in our gut I suppose from our customers that we were delivering a sub-optimal experience,” Arndt said. 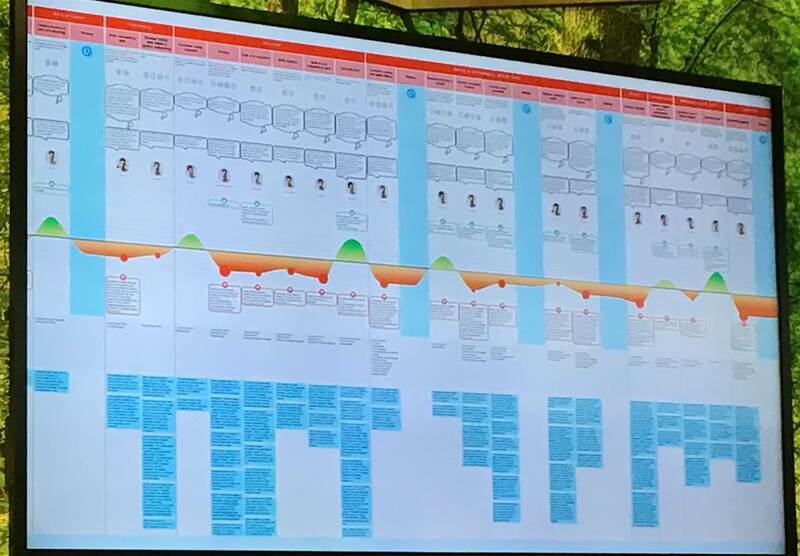 NextDC commissioned an “artefact” several years ago that sought to measure the sentiment of customers as they progressed through the onboarding journey. “The key takeaway is there wasn’t a lot of delight,” Arndt said. One of the things that caused pain in the backend was that every time a customer came into contact with NextDC, an enormous amount of manual effort and re-keying of data was required. A customer might contact NextDC to arrange a parking permit or for the delivery of IT equipment into colocation facilities. “There was no integration between our systems [for handling these jobs],” Arndt said. The company has now designed a new, simplified customer experience that it is rolling out across its different customer journeys. “Salesforce advisory services has really helped to prioritise those efforts to give us the maximum amount of return,” Arndt said. “It was through the advisory services that we were able to unpack these journeys, clear out the unknowns and actually deliver on them within established timelines. Parking permits reduced from four touches to two, and requires 832 hours a year instead of 1664. Similar reductions were seen for other customer journeys. “These are people with decades of experience, with the battle scars, who’ve been through projects that have been shelved or disasters that managed their way into production,” he said. Arndt also used advisory services to “close out unknowns” when incorporating SaaS into existing IT environments. “SaaS technology is fantastic, and obviously for the business we’re in, the more that goes into cloud the better,” he said. “We have a cloud first approach to our business but as some of you would appreciate it’s moving data between those clouds and back into systems of record on prem that can be challenging. Ry Crozier attended Dreamforce 18 in San Francisco as a guest of Salesforce.